For anyone who has a fetish for stuffing a large powerful motor into a small lightweight body, the Renault Clio R.S.16 should be right up your alley! 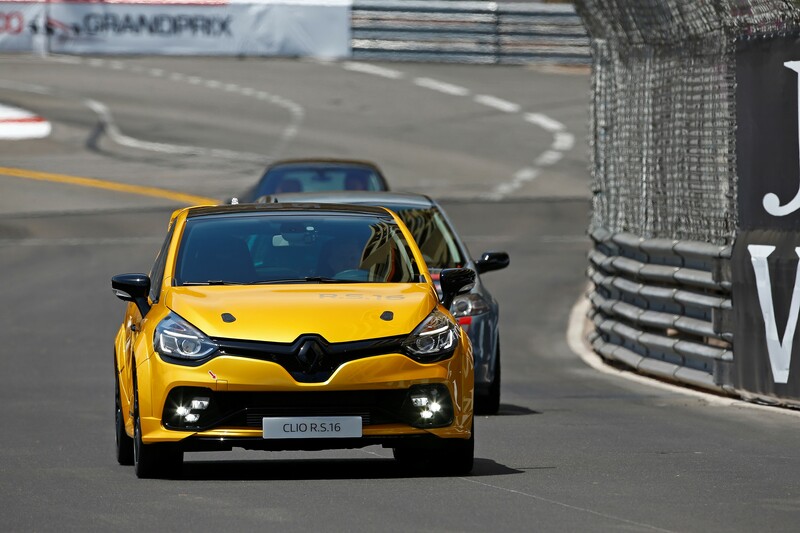 Renault Sport celebrated its 40th year anniversary and return to Formula 1 by unveiling the Clio R.S. 16 concept car in Liquid Yellow with F1 inspired decals at the Circuit de Monaco. 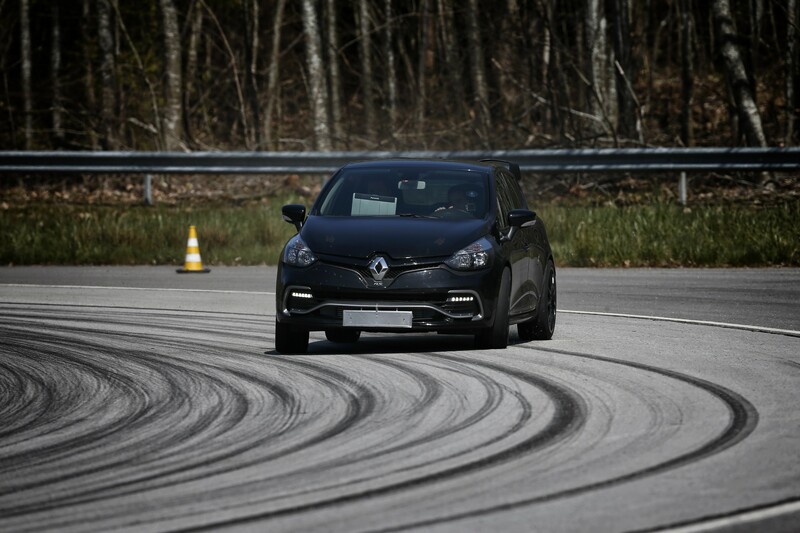 According to the press release, the Renault Sport Clio R.S. 16 was inspired by the long line of Renault Sport hot hatches like the O.G. 5 Turbo and ridiculously awesome mid-engined Clio V6. They decided to retains its FF layout in an effort to keep pricing at a reasonable level estimated at around £34,000. As is the case with most engine swaps, packaging becomes a big issue as the engine, drivetrain and cooling system from the bigger Megane R.S. 275 Trophy R all had to be fitted into the smaller Clio platform. In addition, the software of the Megane ECU also had to be modified to interface with the Clio. 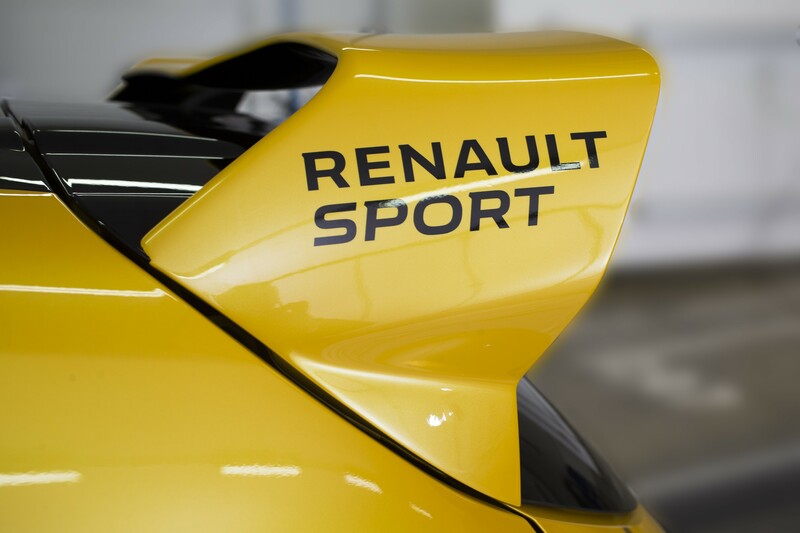 Luckily, the extensive experience Renault Sport has with production hot hatches and motorsports enabled them to complete the project in just 5 months! As mentioned before, the motor is borrowed from the Megane R.S. 275 Trophy R – a 2.0L turbo inline 4 making, you guessed it, 275hp and 265 lb.-ft. of torque. Akrapovič was commissioned for the dual tip exhaust. This is the most powerful engine in the Renault lineup but the Clio chassis was deemed capable to handle the power level by the Renault Sport engineers – after some upgrades of course! To handle the extra firepower, the Megane R.S. 275 Trophy R dampers and brakes are also transplanted over, consisting of adjustable Ohlin shocks and a Brembo brake kit. The rear axle was actually taken from the Clio R3T rally car, increasing roll rigidity by over 50%. Renault Sport had to widen the fenders by 60mm to fit the 19″ wheels wrapped in Michelin Pilot Sport SP2s. Personally I’m surprised they didn’t go with something with more grip like the Sport Cups since this car is more of a track day special, but maybe this is something they will have available as an option if the car goes into production. Aero has also been improved with a wing borrowed from the Clio R3T rally car as well as a diffuser. Despite the bigger and heavier engine, the 6-speed manual and other weight saving measures such as a lithium-ion battery, A/C and rear seat delete mean that the Clio R.S. 16 only weighs about 1,200 kg (2,645 lbs). It sounds like Renault Sport is pushing hard to put the Clio R.S.16 into production. 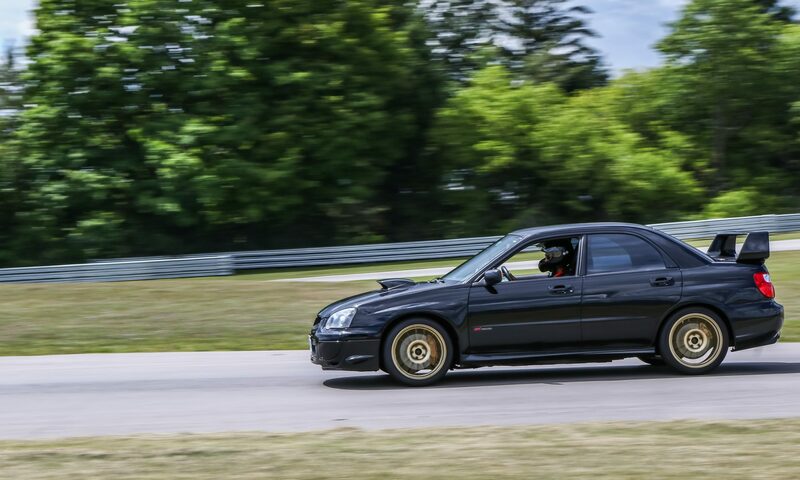 If it does go ahead, it would be a limited run of only about 250 cars. Sadly for us North Americans, this souped up Clio is yet another Renault hot hatch that we won’t see on our shores. Previous PostPrevious Ferrari 458 MM Speciale One-Off – Even Closer to Perfection? Next PostNext McLaren 675LT Carbon, Subaru Breaks Record, NSX Pikes Peak Debut, Return of the Supra?